A fresh approach to the street brass band genre featuring infectious original music whilst avoiding the cliché of being yet another New Orleans pastiche group. Led by London-based musician Ben Somers who composes, sings, is superbly fluent all the saxophones and plays double bass. His credits include Seal, Dr John, Taylor Swift, St Paul & The Broken Bones and many more. 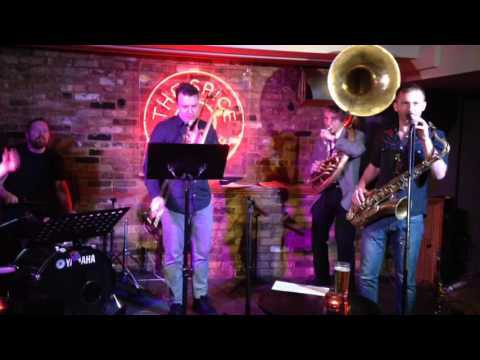 Tell us what you think of SUNDAY LIVE MUSIC SESSION: BRASS HYSTERIA below..